Phillip Island is one of Victoria's most popular tourist attractions, with a daily parade of the island's penguins as they return to shore in the evenings. 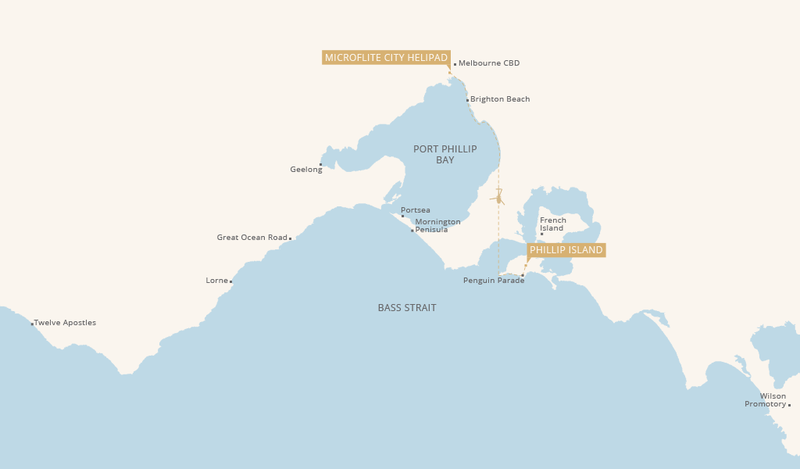 Departing from our Melbourne heliport, you’ll fly over the picturesque coastline of Port Phillip Bay, then land at Philip Island Airport where your driver will be waiting. Enjoy dinner at one of the island’s best restaurants and a private guided tour of the Penguin Parade with one of the attraction’s rangers. Following the tour, you’ll be driven back to our heliport or your accommodation.